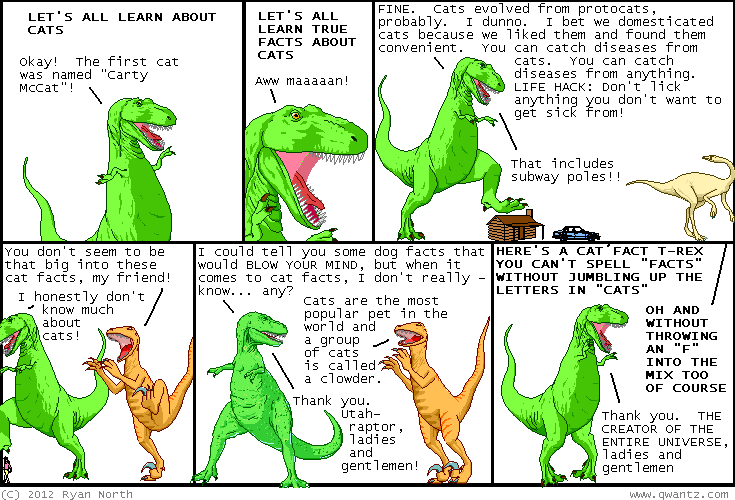 Dinosaur Comics - February 17th, 2012 - awesome fun times! February 17th, 2012: You know what's back in stock? WHITEBOARDS!! NICE. So for fun in the evenings I've been reviewing page-by-page the crazy novelization of Back to the Future, written before the movie was released and in doing so I mentioned one of my brother's stories (how he got pulled behind a car like Marty, but fell got all scraped up) and I'd forgotten that my brother made a comic zine about that experience almost a decade ago! He's now put the complete story online in high res and I recommend you read it - it's a great comic that's really about a kid growing up in rural Ontario and wanting to skateboard, and it's got a really cool visual style! 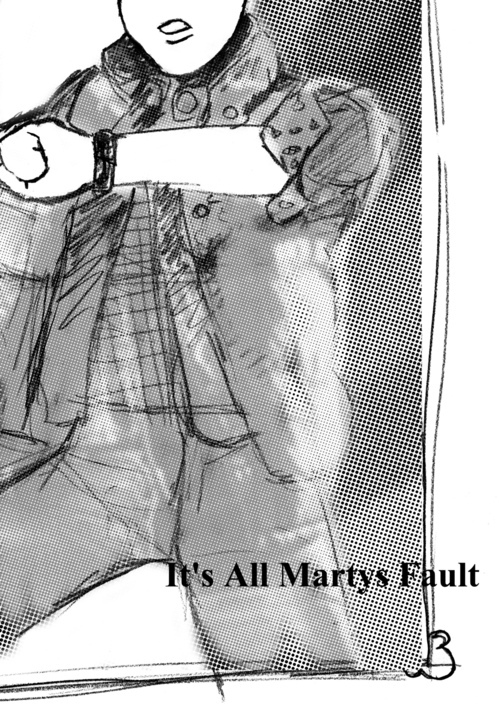 It's called It's all Marty's Fault. One year ago today: there's actually tons of competing companies and predictions, utahraptor, so we're going to have to work several jobs in parallel to make this dream - this future - a reality. you're gonna quit your job so we can laugh at silly dresses, okay?